Off the Southern Georgia coast on 16,500-acre Sapelo Island – reachable only by boat or plane – lies the old Geechee community of Hog Hammock. Hog Hammock is the last community of the Gullah Geechee, decendents of Africans brought over to the Southeastern United States coastal islands to work on plantations as slaves. After the end of slavery, the Gullah Geechee primarily remained on the coastal islands and retained as much of their African heritage as possible, creating a distinct subpopulation of African Americans with their own traditions and dialect. The Sapelo Gullah Geechee arrived on Sapelo in the 1800s and have called it home ever since. Many of the slaves were originally brought to the island by Thomas Spalding, who purchased the south end of Sapelo in 1802. After the end of the Civil War, the freed slaves stayed, purchasing land and establishing thriving settlements on various parts of the island, then eventually consolidating the communities to Hog Hammock. 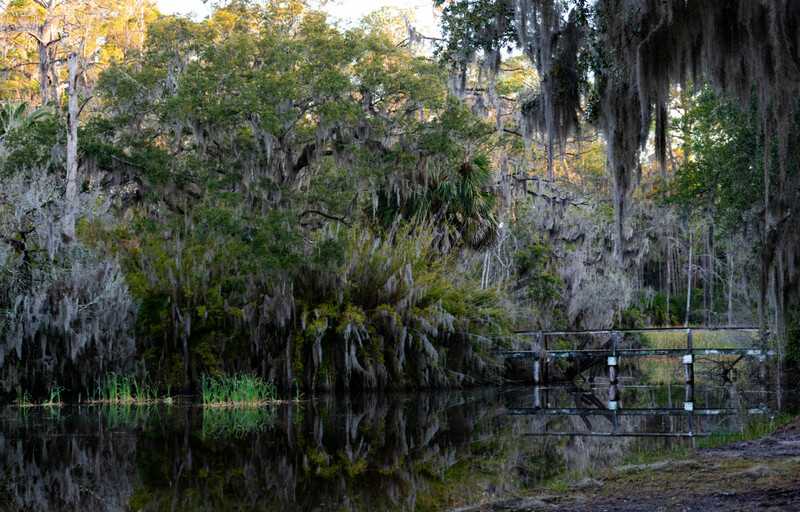 Covering 427 acres, Hog Hammock is now home to the remaining descendants of the original slaves and is the heart of Sapelo’s Gullah Geechee community. The fields around Hog Hammock are being returned to their agricultural roots. The Gullah Geechee brought seeds of several African crops, such as red cow peas and okra, with them to the New World. The “Geechee red pea,” which has its origins in Sierra Leone, is grown as a heritage crop for the Hog Hammock community, meaning the plants are original varieties that were grown by historic populations and not cultivated for large-scale agriculture. Hog Hammock residents grow these crops to sell and sustain the community and to motivate residents to invest in their own land. The sale of red pea harvests is key to increasing economic development for the island and its remaining residents, helping to preserve their lands and culture. Another heritage crop the community is trying to reestablish is purple ribbon sugar cane, which was native to Java and brought to the West Indies by Dutch traders in the 1800s and then to the Georgia coast. The sugar cane was grown on Sapelo as a plantation crop and processed in a mill on the island. Researchers are now helping the community replant purple ribbon sugar cane in fields in Hog Hammock, and the sugar cane is pressed for its purple syrup and bottled. Both purple ribbon sugar cane syrup and Sapelo Island red peas are sold on the mainland and prized by restaurateurs for their unique flavors. In 2017 during Hurricane Irma, which directly hit Sapelo Island, island flooding covered the majority of Hog Hammock and wiped out the sugar cane and other crops. Changes in weather and climate such as increased frequency of tropical storms and hurricanes are increasingly affecting the island and its residents. Hog Hammock is at a lower elevation than other parts of the island, leaving the community more susceptible to flooding and causing enormous consequences for its burgeoning agricultural industry. With more frequent inundation of seawater, the soil and fields are becoming less yielding for farming. Sapelo Island is low enough to become a massive floodplain when the high tide line exceeds the shell-banked and salt marsh edges of the island. With increasing frequency, the high tides on Sapelo Island significantly exceed typical high tide marks, breaching roadways, filling marshy fields, and causing flooding overall. The salt marshes can quickly become saturated with the seawater, overriding their potential to serve as flood buffers for the inner island. Beyond agriculture, the inundation of saltwater into the water table and other potable water sources means residents must find new water sources. With rising sea levels and increased flooding risks, the Hog Hammock community faces an uncertain future. Displaying their generational resilience, residents and heritage crops continue to endure as the Sapelo Island Gullah Geechee community fights to preserve their historic lands, culture, and way of life.